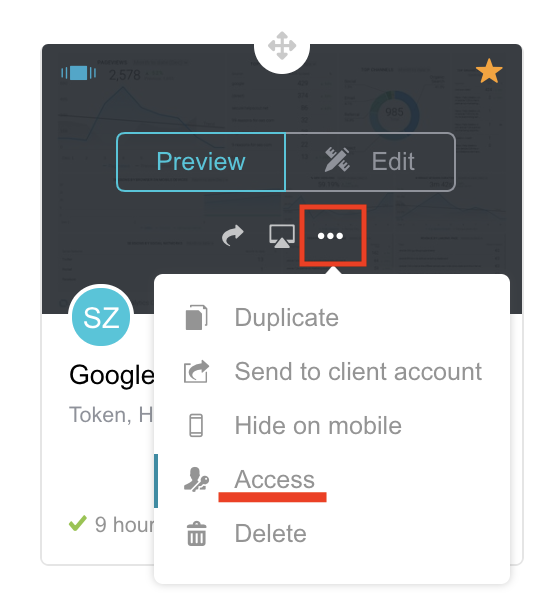 In this article we'll review the two options for setting the Databoards that Users have access to. When you are on the databoards overview page, hover the mouse over the Databoard you’ve selected and click on additional settings dots. Then click on the Access option. This will open up a new window where you’ll be able to enable or disable the selected Databoard for users. Add or remove a check mark to selected User(s) and hit Save. Click on the down arrow in the upper right hand corner next to Account, and then click on User Management. Next, click Edit to open the user details window. You’ll be able to see which Databoards are currently shared with the user. Next select or unselect which Databoards you want that User to have access to.